With today’s marketing industry focused on a sales-driven approach, it’s easy for brands and marketers to get disconnected from their customers. Consider the recent 2018 Blizzcon (a large-scale gaming convention hosted by game developer Blizzard Entertainment) fiasco where they announced the game Diablo Immortal for mobile devices. The game was a sequel to the cult classic computer roleplaying game Diablo I & II and prequel to Diablo III. With many of Blizzcon’s attendees being die-hard computer fans who had been waiting for a new Diablo game since 2014, they were furious with this “big reveal”. Some critics even called Blizzard out for their perceived “cash grab” in catering to casual mobile gamers instead of creating games for their die-hard fans. Blizzard Principle Game Designer Wyatt Cheng unveils Diablo Immortal at Blizzcon 2018 – audience reactions grew progressively colder as it was revealed to be a mobile-exclusive game. 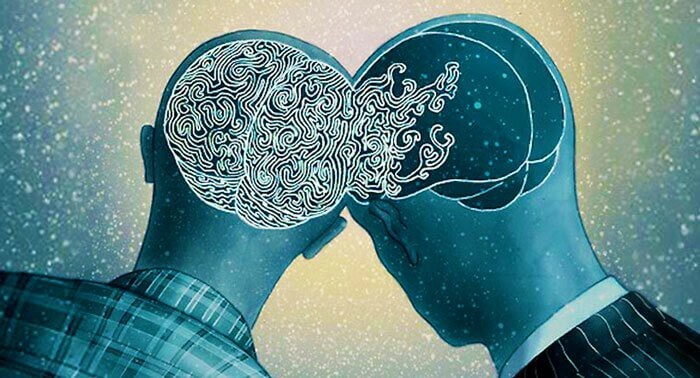 Empathy is defined as the ability to share another person’s feelings, and is what ultimately connects and persuades audiences to connect with a brand’s story. Done right, it helps drives sales and inspires consumers to stay loyal to your brand. The scene, much like a train wreck in slow motion, showed fans just how much they’ve been alienated. As a result, Blizzard’s stock tanked nearly 7% during the next day of trading. Blizzard immediately underwent full damage control and made an official statement on the Diablo forums asking for feedback. Some forum users were glad that the game company was finally willing to reach out, but many other users believed it was too little, too late. What could Blizzard have done differently? An animated video highlighting parts from Dr. Brene Brown’s TED talk on The Power of Vulnerability – this segment shows the key differences between sympathy and empathy, and discusses how empathising with someone can make a difference for them. Developing empathy for your consumers isn’t something that happens overnight – rather, it’s something that must be nurtured over time. Harvard Business Review adds that empathy is a value that is not exclusive to marketers or front-line staff, but is rather something that should be instilled amongst all levels of a business. Multinational software developer Adobe attempted to promote employee empathy through a short-term compensation program that tied every employee to the customer. With employees’ self-interest lining up with the company’s goals, the program worked wonderfully. As a result, not only did customer retention improve, but so too did the relationships between the company and its employees. Healthy snack brand KIND teams up with Emmanuel Lubezki (director of the film Birdman) to depict the actions of humanitarian group No More Deaths. Through their simple gestures of kindness and empathy, they hope to prevent the suffering and death of migrants crossing the US-Mexico border. But how do copywriters build empathy with audiences when we can’t see or hear our audiences face to face? The Search Guru recommends that writers immerse themselves into the backgrounds of the audience, including reading up on the latest demographic studies of these people, interviewing them, and potentially even using their stories in your writing (with their permission of course). With insights into your audience, you’ll be able to discern what their interests are, the challenges they face and what sort of unfulfillments they have in – allowing you to channel your writing more constructively and to directly address readers! However, if you do indeed have experiences relevant to your readers, then it can certainly be beneficial to insert a personal anecdote or two. According to Grammarly’s Karen Hertzberg, writers who insert themselves into their writing have increased engagements from audiences – simply because readers feel like there’s a real person behind the article. “When your audience knows you’ve been where they are, they’re more likely to pay attention to what you have to say,” writes Hertzberg. How can we apply these lessons to the real world? Looking back at Blizzard’s blunder, first and foremost, Blizzard could simply have conducted a quick survey asking players for their opinions on the Diablo series, and what players were looking for in future editions of the game – including the most important question of all: “How would you react to a mobile release of the game and why?” Alternatively, if inconspicuousness was the name of the game, they could just have easily tacked on the question as a what if? scenario – perhaps as part of a customer satisfaction survey that included other games as well. In both cases, openness to communication is what any company should strive for. And when mistakes do happen, fans are much more forgiving when presented with an honest apology and the opportunity to work together to correct the situation. So whether you’re a marketer, copywriter or a Fortune-500 CEO, it pays to listen to your users… because something as simple as a two-minute survey or conversation could potentially save billions in revenue and customer goodwill.